Jumbo is where the grizzly bear spirit meets science. The grizzly bear, one of the Ktunaxa Nation’s principal spirits, makes its spiritual home in Jumbo and goes there to heal. 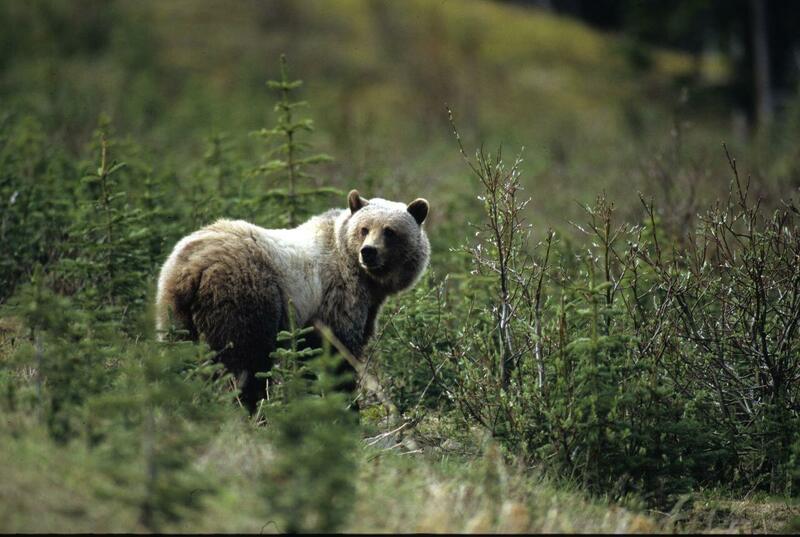 In the Ktunaxa creation story, the grizzly bear makes way for the first humans by retreating into the mountains. In return, humans must respect the grizzly by acting as stewards of the land. The Jumbo Valley is recognized internationally as a vital part of one of North America’s most important wildlife corridors. Grizzlies depend on this connected habitat to maintain healthy populations in the region and beyond. If built, Jumbo Glacier Resort would fragment a critical section of this corridor, leading to habitat fragmentation and reduced grizzly populations, locally, regionally and even continentally. International conservation organization, Yellowstone to Yukon, has named this area as a Priority Area. It is one of only two remaining areas in the Yellowstone to Yukon region where bears can move back and forth between Canada and the US, making its protection highly critical. Results of recent DNA studies show that the current bear levels in the Jumbo Valley are already at a meager 54% capacity, just above what is legally considered threatened (50%). If smaller populations aren’t connected to a central core, they won’t last in the long-term. The Purcell grizzlies are this central core, an “anchor” population providing stability to its neighbors. In other words, this is ground zero. If this habitat is threatened, the echoes will be heard far and wide.